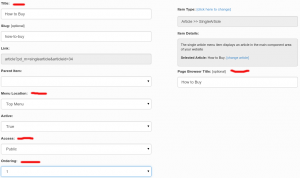 Menu items are simple clickable anchor links on your website. A menu item is a subset of a menu and you can have an unlimited amount of menu items in a menu. 1. The Top Menu: this contains the main menu items for your website. They are the links you see at the top of every page on your website. 2. 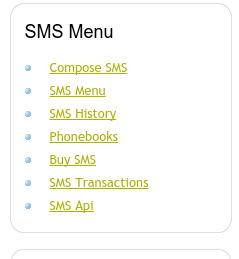 The SMS Menu : The SMS menu contains links to different functions of the sms component and they are generally located on the side-bar of your website. 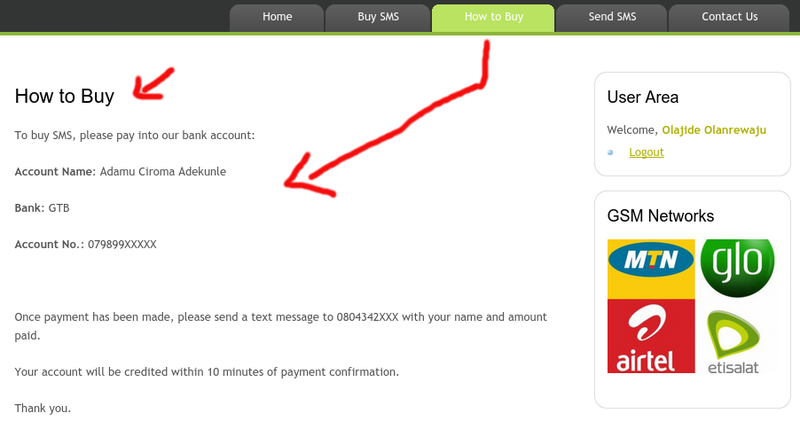 Whenever your customers wants to send out sms messages, they will use the SMS Menu. 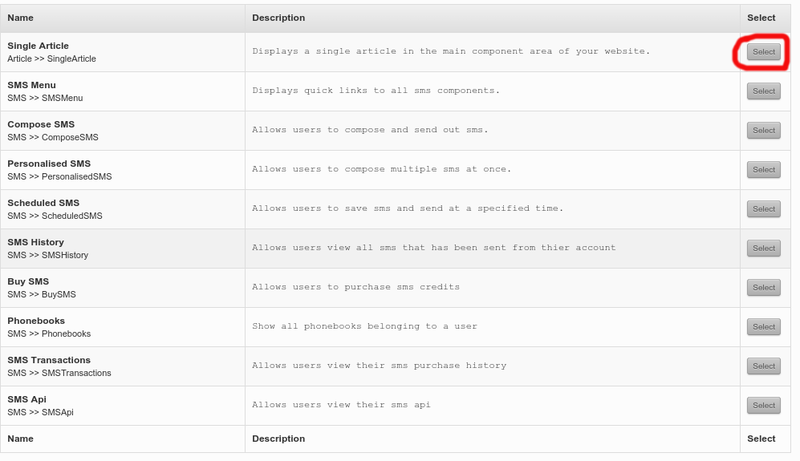 Lastly and most importantly, Menu Items links to different components on your website. 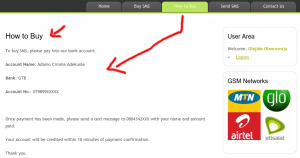 It is used to display Articles, or manipulate the SMS feature of your site. 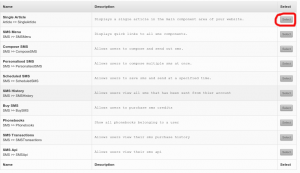 Without menu items your customers cannot interact with these components. The article contained our bank details to display to our customers. 3. In the resulting page, click on Create new Menu Item at the top right of that page. 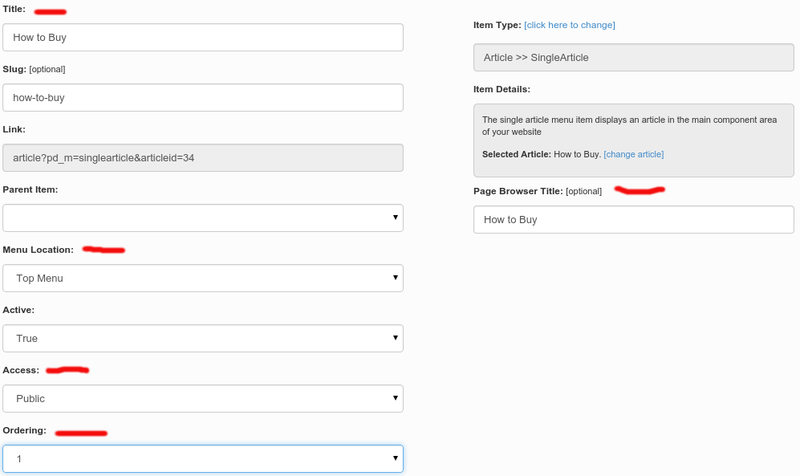 For the purpose of this tutorial, we will select the Single Article Component. 5. Next we are presented with a list of articles we have previously created. We will go ahead and select the How to Buy article. 6. Finally, we see a page where we can configure this menu item. We set the title as “How to Buy” because that is what the article is about. 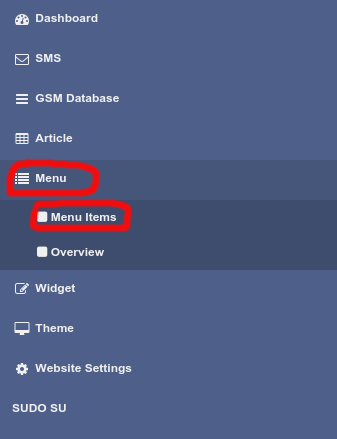 We also set the menu location to the Top Menu, this is because we want this menu item to appear at the top of the page. We set the ordering to 1. And finally set the page browser title to “How to Buy”. 7. Click on the Save button at the bottom of that page.